One of the most frequent Windows 8 errors users encountered lately is directly related to Windows Store and modern applications available in it. Many users complained that when trying to download an application from Windows StoreAre greeted by the message "Sorry, this app is no longer available"Even if the application is still Available for download. If this has happened to you when you tried to download one or more applications from 8 Windows Store, The information below will help you solve this problem. How do I resolve the error "Sorry this app is no longer available" in Windows Store? It seems that this error Windows Store appeared after Windows has launched The security update KB2862768 (Update applies to the operating system Windows 8, RT Windows si Windows Server 2012). After installing this update, many users have confirmed that they were welcomed by the error message when they tried to download Windows Store popular applications (and longevity) such as Skype. So how to solve the problem? Uninstalling the software update in the system KB2862768. How can we uninstall a system update for Windows 8? And ready. From now on we should not meet again errors when trying to download an application from Windows Store. Note: To ensure that the update is causing the error will not be installed, go to Windows Update, the update identified that, uncheck it, then right click on it and select Hide update. 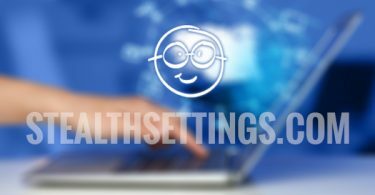 Passionate about everything that means gadgets and IT, I write with pleasure stealthsettings.com from 2006 and I like to discover with you new things about computers and operating systems macOS, Linux, Windows, iOS and Android.